I like simple stoves, I want it to heat my water up efficiently and quickly. I don't need it to have a ton of bells and whistles, just get the job done. I like the pop can stoves for their simplicity but they just are not that durable and I also hate having to play with them continually hoping they work every time. So in my quest for the perfect stove I stumbled upon Zelph's Stoveworks. 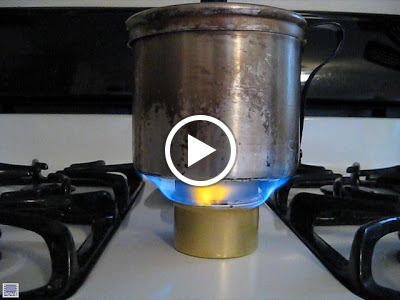 He has done some amazing things in the world of backpacking stoves. My favorite stove for its simplicity is the Fancee Feest stove. It is very basic and you don't need a pot stand. Just plop the pot on top and light her up. No priming, no tweaking, nada.... The key with it is the fiberglass cloth that acts like a wick to pull the fuel up to be burned. This wicking action aids in making the stove more efficient and uniform. I decided to attempt to make my one myself, even though hindsight shows that I could have probably come out money/time ahead if I had just bought one from him, but where is the fun in that? So far it is working pretty well. I am still not completely happy with it and will continue to tweak it. Today it was boiling two cups of water with one ounce of fuel in about 6-7 minutes and had a total burn time of 9 minutes. The stove has a three ounce capacity so it should even be able to handle group size pots. Nice work. This is a great stove. Made one myself by using the usual Fancy Feast can and a 2" section from a Bud aluminum bottle for the inner section/pot stand. Should be especially good for winter use when pressurized stoves can be finicky. 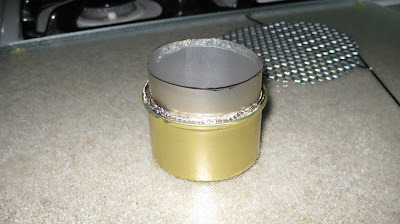 I have made several of the alcohol stoves and they work great in the summer time. Simple, Sweet, and Lite!